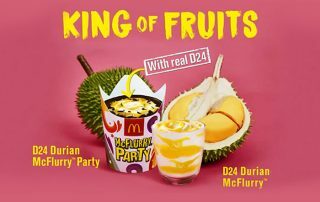 Musang King Durian Flavor Ice Cream is a Big Hit in India! 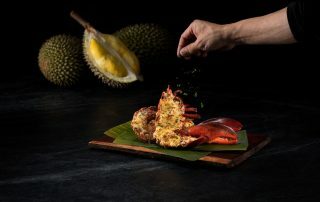 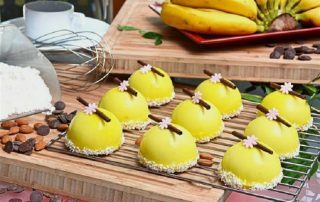 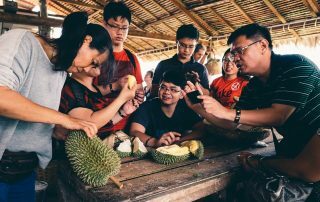 Chinese travel agents are serving up durian tours to lure more Chinese tourists during the durian fruiting season of the king of fruits in Malaysia. 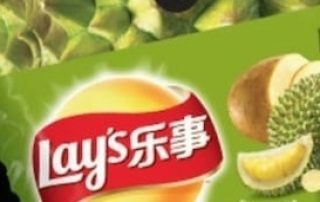 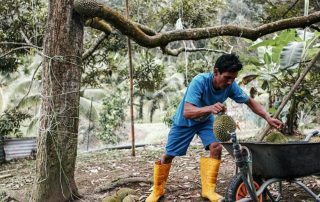 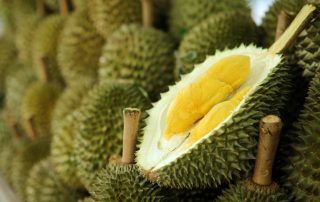 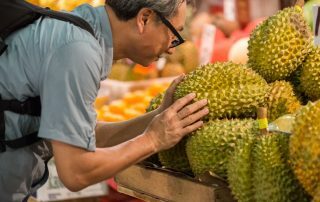 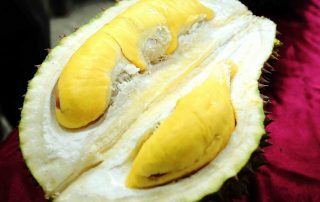 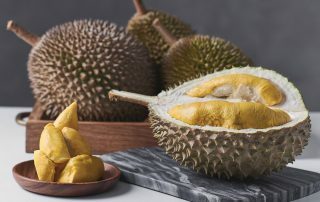 Malaysia expects to receive approval to export fresh whole Musang King, commonly known as Mao Shan Wang, durians to China next year. 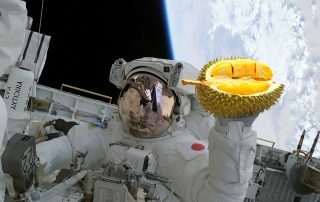 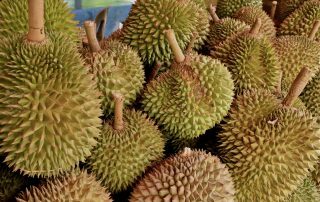 Thailand plans to shoot durian into orbit to test its durability in a project that could see the staple “king of fruits” consumed in zero-gravity conditions. 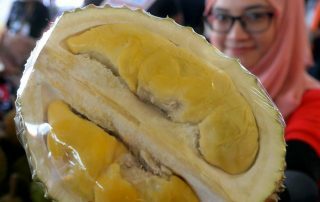 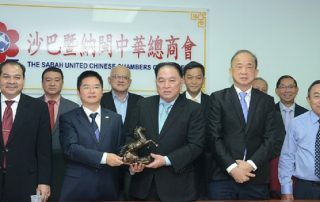 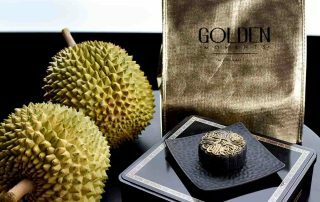 Chinese Love for Thailand Durian Is Growing! 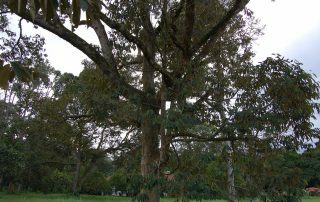 They thrive in areas with 63 to 157 inches of rain per year and 75 to 90% humidity. 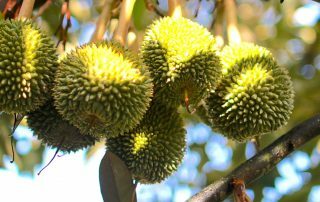 Very few places in the United States have the climate durian trees require to grow. 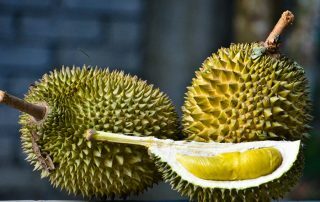 ABAWENYOS can expect a better durian harvest especially for the Kadayawan Festival this year, the Durian Industry Council of Davao City (DICDC) said. 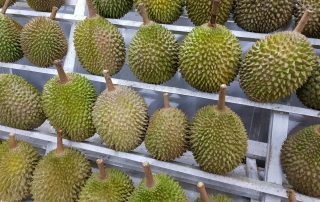 Enter Answer: 10 + 2 = ?